You are all invited to spread joy to the neighborhood! 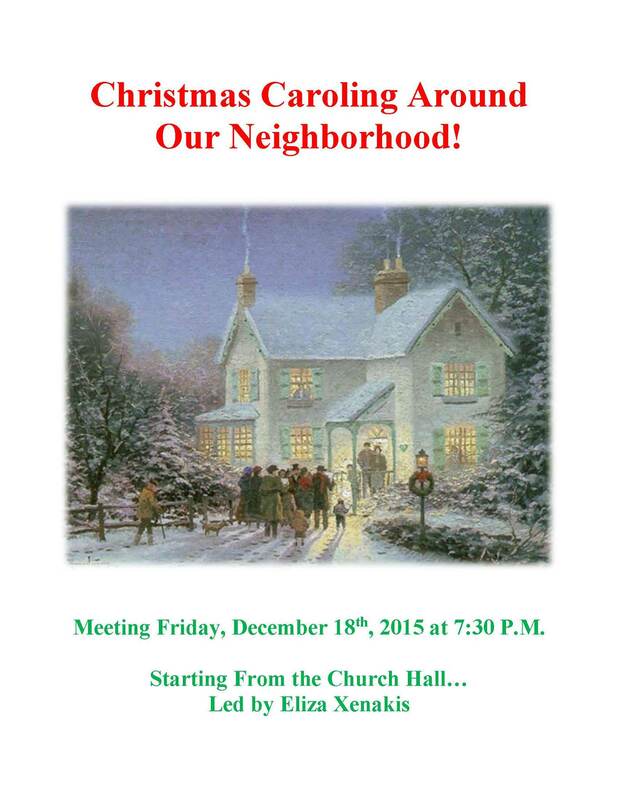 Christmas Caroling: Friday night at 7:30 P.M. Starting at the Church Hall!